Certificate Course on “Molecular Biology & Biotechnology” will be started on 2nd of May at Agricultural Biotechnology Centre, Faculty of Agriculture, University of Peradeniya. Conference on "Sri Lanka - Japan Collaborative Research" will be held on 23rdand 24th August 2019 at University of Peradeniya. It is with pleasure that the Faculty of Science announces open competition for Paintings. The competition is open to all undergraduate students of the Faculty of Science, University of Peradeniya. All creations will be exhibited on from 1.00 p.m. to 5.00 p.m. on 15th October, 2014 at the premises of the Faculty of Science in line with the ‘Cultural Day’. This event is organized under University Development Grant (UDG) of the ‘Higher Education for the Twenty first Century (HETC)’ project. The event is a part of activities aimed at developing the soft skills of the students. Each category will be judged by a panel and, the First, Second and Third places are selected for each Category. All other entries will receive certificates of recognition for their participation. The Internship and Research committees of the Faculty of Management of the University of Peradeniya successfully conducted the ‘Undergraduate Internship and Research Symposium 2018 on 04th April, 2019. The awarding Ceremony of the Committee of Vice-Chancellors and Directors (CVCD) Excellence Awards was held on the 19th of March 2019 under the patronage of President Maithripala Sirisena at the President’s House in Colombo. The Faculty of Management of the University of Peradeniya launched the maiden issues of its journal and magazine in a ceremony graced by Prof. Upul B. Dissanayake, the Vice Chancellor and Prof. S.H.P. Parakrama Karunaratne, the Deputy Vice Chancellor of the University on 03rd April, 2019. 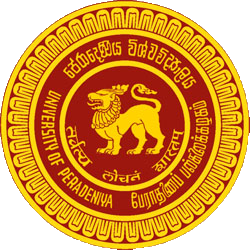 The Postgraduate Institute of Science (PGIS) at the University of Peradeniya is a national institute that advances research and education of post-graduate students. Since its establishment in 1996, it has been a center of excellence in providing high-quality education to Sri Lankan and international students, while contributing towards the nation’s development with groundbreaking research. The Art and Culture Unit of “Strengthening Reconciliation Processes in Sri Lanka Project” of GIZ Sri Lanka has engaged with the University of Peradeniya in a partnership for organizing “Expressions” Cine & Art festival from 3rd to 5th April 2019 at the Arts Theater, Faculty of Arts. The national programme on drug prevention, “A country free of drugs”, which has been launched under the direct supervision and direction of His Excellency the President of Democratic Socialist Republic of Sri Lanka. In parallel to the program launched to declare the Thripitaka as a world heritage, the University of Peradeniya organized a seminar on Thripitakabivandana introducing Thripitaka and its importance, from 2.00 p.m. to 4.00 p.m. on 22.03.2019 at the Senate Room with the participation of the Vice-Chancellor Professor Upul B. Dissanayake. World Oral Health Day 2019 was celebrated on 21st March 2019, by the Faculty of Dental Sciences, University of Peradeniya in collaboration with the Presidential task force on Drug Prevention, Center for Research in Oral Cancer (CROC), Oral Health Unit of the Office of The Regional Director of Health Services, Central province and Sri Lanka Army. Annual Drama Festival 2019 Organised by the Arts Council, University of Peradeniya will be held from 24th to 29th March at the Sarachchandra Open Air Theatre. Foundation Stone Laying Ceremony for the proposed Seven Storey Building for the Faculty of Arts of the University of Peradeniya was held on 9th March 2019 on the auspicious time 07.41 am. Dr. M.A.J.C Marasinghe, Senior Lecture, Department of Radiography/Radiotherapy was appointed as the Dean of the Faculty of Allied Health Sciences, University of Peradeniya, for a period of three (03) years with effect from 26th February 2019. On Friday 23rd of February 2019, High Voltage Laboratory of the Department of Electrical and Electronic Engineering was named as Wilfred P Jayasekara High Voltage Laboratory after renovating and refurbishing in the presence of Professor Upul B. Dissanayake, Vice-Chancellor, University of Peradeniya. The Faculty of Agriculture Undergraduate Research Symposium – FAuRS-2018, was successfully staged on 21st February 2019 for the fifth consecutive year at the Department of Animal Science, Faculty of Agriculture, University of Peradeniya. Associate Professor Mona Sæbø, Assistant Professor Tone Jøran Oredalen and Senior Advisor Anette Nordheim, being the resource persons from University of South-Eastern Norway conducted a Seminar on Environmental Health and Natural Science at University of Peradeniya on 01 February 2019. Prof. Enge Wang, Institute of Physics, Chinese Academy of Sciences delivered a talk on “Water: Soft in Nature, Hard in Science” on 30 January 2019 at the Chemistry Auditorium, Faculty of Science. Prof. Yuansong Wei, Deputy Director, Research Centre for Eco-Environmental Sciences and Prof. Eng. Wang, Former Vice- President of Chinese Academic of Science visited University of Peradeniya on 29 January 2019. Prof. Tone Jøran Oredalen, Prof. Mona Sæbø and Ms. Anette Norheim Fredly from USEN visited University of Peradeniya on 01 February 2019. A meeting with Professor Upul B. Dissanayake, Vice- chancellor, University of Peradeniya was held to discuss the possibilities of establishing academic & research collaborations between the two institutions. The First Postgraduate Diploma Awarding Ceremony of the Postgraduate Institute of Humanities and Social Sciences (PGIHS) was successfully held at the Arts Theatre (AT), Faculty of Arts, University of Peradeniya on 15th of February 2019. Staff Development Centre of the University of Peradeniya commenced two more induction programs for the Non-academic staff of the University. A delegation from Queensland University of Technology (QUT) visited University of Peradeniya on 13th February 2019. H.E. (Ms) Robina P. Marks the High commissioner of South Africa in Sri Lanka made a courtesy visit to University of Peradeniya and met Professor S.H.P.P Karunaratne, Acting Vice-Chancellor, University of Peradeniya, Dr. Shameen Jinadasa, Acting Director International Affairs Office and Dr. Athula Withanawasam, Head, Department of Political Science, Faculty of Arts at the Vice Chancellor’s office on 12th February 2019. Emeritus Professor Jayanthi Edirisinghe and Professor Inoka Karunaratne of the Department of Zoology, Faculty of Science, University of Peradeniya along with a nature lover photographer from Ukraine, Mr. Roman Prokhorov authored a coffee table book which was edited by a conservation biologist Dr. Sriyanie Miththapala with a mission- ‘Insects - Hidden Treasurers of Mahausakande”. Colours Awarding Ceremony of the University of Peradeniya for the years 2017 & 2018 was held on 1st February 2019 at the University Gymnasium under the patronage of Professor Upul B. Dissanayake, Vice-Chancellor, University of Peradeniya. Vice-Chancellor of the University of Peradeniya Professor Upul B. Dissanayake ceremonially opened a New Geology Building on 31st January 2019 at the Science Faculty premises. Prof. David Damrel, Associate Professor of Religious Studies of the University of South Carolina, Dr. Dixie Damrel, a botanist and the Curator of the Clemson University Herbarium located in Clemson, South Carolina in the USA and Dr. Markus Dettenhoffer, an ERASMUS scholar from Czech Republic visited University of Peradeniya on 28th January 2019. The annual Career Fair of Faculty of Engineering was held on 26 January 2019 at the faculty premises. Career Guidance Unit (CGU), University of Peradeniya conducted a three month training of trainees programmes to Robarosiya students society members and completed two batches of trainees by now (2017 & 2018). Prof. Anu Singh Lather is Pro Vice-Chancellor and Dr. Ruchika Malhotra, Associate Dean (IRD) and Associate Professor in Computer Science & Engineering department, Delhi Technological University, India visited University of Peradeniya (UoP) on 22 January 2019. Staff Development Centre of the University of Peradeniya commenced the 16th Induction program on 21st January 2019. The program will be held during the following periods at the Staff Development Centre. A delegation comprising Dr. Masugi Inoue/ Director of International Research Advancement Office, Global Alliance Department, NICT (National Institute of Information and Communications Technology), Dr.Yasunori Owada/ Senior Researcher, Resilient ICT Research Centre,　Dr.Goshi Sato/　Researcher, Resilient ICT Research Cente, Mr.Toru Sanefuji/ Chief Technical Officer, Nassua Solutions, and Mr. Yoshimasa Gunji/ Counsellor, BHN Association visited the office of the Vice-Chancellor on 23rd January 2019 and discussed about the Feasibility Study to Establish a Comprehensive "Sensor Based end to end Early Warning System" for Hydro-Meteorology Induced Disasters in Sri Lanka. Himbiliyakada Primary School in Handungamuwa Wasgamuwa National Park border was the destination for the 4th consecutive Annual Outreach Program of the Welfare Association of the Faculty of Allied Health Sciences, University of Peradeniya. The welcome ceremony of the new entrants to the Faculty of Agriculture, University of Peradeniya was held at the Theater of the Animal Science Department, on 18th January 2019, under the patronage of Professor Upul B. Dissanayake, Vice-Chancellor of the University of Peradeniya. A delegation comprising four Professors from Choonhae College of Health Sciences, Ulsan City, Korea visited the office of the Vice-Chancellor on 18th January 2019 and developed an MOU for student exchange. The welcome ceremony of the new entrants to the Faculty of Arts, University of Peradeniya was held at the University Gymnasium, on 07th January 2019, under the patronage of Professor Upul B. Dissanayake, Vice-Chancellor of the University of Peradeniya. Inauguration Ceremony of the Workshop for G.C.E. (A/L) Physics Teachers of the Uva Province organized by the Science Education Unit, University of Peradeniya and sponsored by the Uva Provincial Department of Education, was held on 16th January 2019 at the Chemistry Auditorium. A delegation from Essex University, UK comprising Professor Anthony Forster/ Vice Chancellor, Sandeep Sharma/ Director of the Regional Office in India, Sally Day/ International Partnerships Officer and Satha Alaga/ Senior Finance Business Partnering Manager visited the office of the Vice-Chancellor on 11th January 2019 and signed an MoU with the UoP. The welcome ceremony of the new entrants to the Faculty of Veterinary Medicine & Animal Science, University of Peradeniya was held at the Farm Animal Auditorium, on 03rd January 2019, under the patronage of Professor Upul B. Dissanayake, Vice-Chancellor of the University of Peradeniya. The welcome ceremony of the new entrants to the Allied Health Sciences, University of Peradeniya was held at the Faculty Auditorium, on 07th January 2019, under the patronage of Professor Upul B. Dissanayake, Vice-Chancellor of the University of Peradeniya. The welcome ceremony of the new entrants to the Faculty of Management, University of Peradeniya was held at the Faculty Auditorium, on 19th December 2018, under the patronage of Professor Upul B. Dissanayake, Vice-Chancellor of the University of Peradeniya. The welcome ceremony of the new entrants to the Faculty of Science, University of Peradeniya was held at the University Gymnasium, on 02nd January 2019, under the patronage of Professor Upul B. Dissanayake, Vice-Chancellor of the University of Peradeniya. The inauguration of the Post Graduate Diploma in Education (Full Time) course was held on 2nd January 2019 at the Department of Education, Faculty of Arts. The Inauguration of the Postgraduate Diploma in Education. The inauguration of the Postgraduate Diploma in Education (Full Time) course was held on 2nd January 2019 at the Department of Education, Faculty of Arts. Congratulations on receiving the President’s Awards for high quality research publications made in 2016 in journals indexed in Science Citation Index/ Science Citation Index Expanded (SCI/SCIE), at the annual ceremony organized by the National Research Council. POMS - USA organized their first Sri Lankan conference on December 14-16, 2018 called POMS 2018 Sri Lanka. The University of Peradeniya was a Technical Sponsor of this event along with the IEEE Sri Lanka chapter, the Institution of Engineers Sri Lanka (IESL), and the Chartered Institute of Logistics Sri Lanka. Prof. S.H.P. Parakrama Karunaratne, Senior Professor & Chair of Zoology, and the Deputy Vice Chancellor of University of Peradeniya was awarded the General Research Committee Award at the Inauguration ceremony of the 74th Annual Scientific Sessions of the Sri Lanka Association for the Advancement of Science (SLAAS) held on 2nd December 2018 at the BMICH under the patronage of Hon. Dr. Sarath Amunugama, Minister of Foreign Affairs. Internal Quality Assurance Unit of University of Peradeniya organized an awareness programme on QA activities for students on 10th of December 2018 from 8.00 am onwards. Chronic Kidney Disease of unknown Aetiology (CKDu) has emerged as a significant public health issue in Sri Lanka, with disease clusters recorded in five provinces in the country. The 06th Invitational Inter-University Hockey Tournament “PERA Sixes” was ceremonially declared open by the Deputy Vice-Chancellor, Prof. S.H.P.P. Karunaratne on 23rd November 2018 at the hockey field, University of Peradeniya. The 09th Convocation for External Graduands of the University of Peradeniya was held on 06th December 2018 at Mahinda Rajapaksha Auditorium, NICD, Polgolla, Kandy and during the two sessions 1026 Graduands were conferred the Degrees of Bachelor of Arts and Bachelor of Business Administrations (online). Professor H.A. de S. Gunasekera Memorial Oration 2018 organized by Department of Economics and Statistics, Faculty of Arts and the Professor H.A. de S. Gunasekera Memorial Trust Fund, was held on 4th December 2018 at the Senate Room, University of Peradeniya. November is the date in the National Research Council Calendar for recognizing scientists with high quality research publications. In 2018, publications made in 2016 in journals indexed in Science Citation Index Expanded (SCIE) are considered for award. Professor Jayadeva Thilakasiri Emeritus Professor of Sanskrit, University of Peradeniya passed away on 29th November 2018. Opening ceremony of the “Open Gym” organized by the Department of Physical Education was held on 28th November 2018 at the University ground. Professor Upul B. Dissanayake, Vice-Chancellor of the University of Peradeniya participated as the Chief Guest of the ceremony. A leading power and telecommunication cable manufacture in Sri Lanka, Kelani Cables PLC, organized the passing out ceremony for forty Kelani Saviya Students who successfully completed their final examination held recently at the Electrical and Electronic Engineering Department of the Faculty of Engineering of the University of Peradeniya (UoP). The inauguration ceremony of the 7th UGIT International Conference organized by the Department of Geography, Faculty of Arts, University of Peradeniya and was held on 24th November 2018 at the PGIHS Auditorium of University of Peradeniya under the patronage of Professor Upul B. Dissanayake, Vice-Chancellor of the University. International Conference on the Humanities and the Social Sciences (ICHSS) was organized by the Faculty of Arts, University of Peradeniya for the 4th consecutive year. The inauguration ceremony was held on 22nd November 2018 at the Senate Room, University of Peradeniya. Opening ceremony of the Dental E-Learning Unit (DELU) organized by the Executive Committee of the Dental E-Learning Unit was held on 21st November 2018 at the Faculty of Dental Sciences premises under the patronage of Professor Upul B. Dissanayake, Vice-Chancellor, University of Peradeniya. The inauguration ceremony of the Tree planting campaign organized by the Peradeniya Engineering Faculty Alumni Association was held at the Faculty of Engineering premises on 17th November 2018. Re-opening of the Structured Laboratory, Faculty of Engineering. Re-opening Ceremony of the Structured Laboratory, Faculty of Engineering was held on 17th November 2018, at the Faculty premises. The Postgraduate Institute of Agriculture, University of Peradeniya organized the Annual PGIA Congress 2018 for the 30th consecutive time. The Inauguration ceremony was held at Amaya Hills Resort, Heerassagala, Kandy on 15th November, 2018. Professor D.K.N.G Pushpakumara, Senior Professor in Crop Science, was re-appointed as the Dean of the Faculty of Agriculture, University of Peradeniya, for a period of three (03) years with effect from 14th November 2018. Inauguration Ceremony of the Workshop for G.C.E. (A/L) Chemistry Teachers of the Uva Province organized by the Science Education Unit, University of Peradeniya and sponsored by the Uva Provincial Department of Education, was held on 13th November 2018 at the Chemistry Auditorium. Professor Upul B. Dissanayake, Vice-Chancellor of the University of Peradeniya, participated as the Chief Guest in this event. The "PGIS Research Congress (ResCon) 2018" organized by the Postgraduate Institute of Science (PGIS), University of Peradeniya was successfully held on the 9th and 10th of November 2018. The congress was a premier event in the academic calendar of scientists in Sri Lanka and provides the opportunity for researchers to disseminate their findings and update their knowledge on the cutting-edge scientific research in Sri Lanka. The Department of Economics, Faculty of Arts, University of Peradeniya organized the Annual International Economics Research Symposium (PIERS-2018) for the sixth consecutive time. The inauguration of PIERS-2018 was held at the Conference Hall of the Postgraduate Institute of Humanities and Social Sciences (PGIHS) on 8th - 9th November, 2018. The opening ceremony of Artistic Interspaces of Malaysia Symposium (AIMS 2018) was held on 8th November 2018 at the Faculty Seminar Room, Faculty of Arts. The Symposium was organized by The Department of Fine Arts, University of Peradeniya and The Faculty of Film, Theater and Animation, Universiti Teknologi MARA, Malaysia. The welcome ceremony of the new entrants to the Faculty of Dental Sciences, University of Peradeniya was held at the K. Bamberadeniya Auditorium, Faculty of Dental Sciences on 07th November 2018, under the patronage of Professor Upul B. Dissanayake, Vice-Chancellor of the University of Peradeniya. Vice-Chancellor, Prof Upul B. Dissanayake participated the Inaugural meeting of “Alliance of International Science Organizations (ANSO) in the Belt and Road Region” during Nov 3-5, 2018 in Beijing, China. Dr. D.M.S. Munasinghe, Senior Lecturer, Department of Basic Veterinary Sciences was appointed as the Dean of the Faculty of Veterinary Medicine and Animal Science, University of Peradeniya, for a period of three (03) years with effect from 31st October 2018. University of Peradeniya received 1st Runner up of Best Annual Reports and Accounts Awards for Public Sector -2015 at a ceremony held at the BMICH on 29th October 2018. The Internal Quality Assurance Unit conducted a two-day workshop on “Self Evaluation Report (SER) Writing” from 25th to 26th October 2018 at the Main Hall, Department of Education, Faculty of Arts. Professor G.B.B Herath, Professor in Civil Engineering was appointed as the Dean of the Faculty of Engineering, University of Peradeniya, for a period of three (03) years with effect from 26th October 2018. The 02nd Certificate Awarding Ceremony of the staff development programs was held on 23rd October 2018 at 3.00 p.m. in the Senate room of the University of Peradeniya. One hundred and fourteen staff members who completed following programs conducted by the Staff Development Centre (SDC) received certificates at the event. With the generous sponsorship of the AAUP Chapter in Western Australia (Perth), the Alumni Association of the University of Peradeniya (AAUP) donated the following items to the Health Centre of the University of Peradeniya. The welcome ceremony of the new entrants to the Faculty of Medicine, University of Peradeniya was held at the Physiology Lecture Theatre, Faculty of Medicine on 22nd October 2018, under the patronage of Professor Upul B. Dissanayake, Vice-Chancellor of the University of Peradeniya. The Launching Ceremony of the book “Social and Cultural History of Sri Lanka from 13th Century AC to 15th Century AC” was held on 18th October 2018 at the Senate Room University of Peradeniya. The Inauguration of the Joint Split Ph.D program between Department of Civil Engineering, Faculty of Engineering, University of Peradeniya and the Royal Melbourne Institute of Technology (RMIT) was held on 16th October 2018 at Faculty of Engineering. Launching of Website for International Conference to mark the Bi-centenary of 1818 Freedom Struggle (ICFS 1818). The Vice-Chancellor Professor. Upul B. Dissanayake inaugurated the launching ceremony on 16th October 2018 at the Senate Room, University of Peradeniya. Staff Development Centre of the University of Peradeniya conducted a two-day Seminar and Skills Development Workshop on “Theory and Practice of Problem Based and Flipped Learning” on 12th and 13th October, 2018 in the auditorium of the Staff Development Centre. The late professor D.E Hettiarachi memorial oration was held at the Senate room on 10th October 2018. The memorial lecture was delivered by Professor Emeritus K.N.O. Dharmadasa on “Professor Hettiarachchi and University of Ceylon, Peradeniya”. The Faculty of Agriculture of the University of Peradeniya has organized the “Ag Tech 2018” Agricultural Technology Exhibition commencing from 4th to 7th October 2018 at the Mahailupallama sub-campus premises celebrating its 70 years of excellence in higher education in Agriculture and the 50th year of the Mahailupallama sub-campus. Mr. Hasnain Yousaf (Head of Chancery) the High commission of Pakistan in Sri Lanka paid a curtsey visit to UoP and met the Vice-Chancellor University of Peradeniya on 05th October 2018. The Cornerstone ceremony for the China Sri Lanka Joint Research and Demonstration Centre for water technology was held at the University of Peradeniya on 28th September 2018. Senior Professor A.S Abeygunawardena, Senior Professor in Pediatrics, was appointed as the Dean of the Faculty of Medicine, University of Peradeniya, for a period of three (03) years with effect from 12.09.2018. The Department of Physiotherapy – Faculty of Allied Health Sciences in collaboration with the Department of physiotherapy – Kandy Teaching Hospital, celebrated World Physiotherapy Day on 9th September 2018 at the Kandy Teaching Hospital. Honorable Minister of Health, Nutrition and Indigenous Medicine Dr. Rajitha Senarathne and the Vice-Chancellor Professor Upul B. Dissanayake ceremonially opened a Rajaya Osusala branch in University Premises on 1st September 2018 for the benefit of the University Community and the general public. The 6th International Conference on Sri Lanka – Japan Collaborative Research (SLJCR 2018) was held at the Postgraduate institute of Science (PGIS), University of Peradeniya on 1st September, 2018. The “Bridge to Japan” workshop organized by the Sri Lanka Japan Study Center and International affairs Office as a prelude to the SLJCR 2018 conference was held on the 31st of August, 2018, at the Postgraduate Institute of Science from 9 am to 12 am. The workshop was aimed at encouraging and providing advice to university academics to form research partnerships with Japanese researchers to produce collaborative research. About seven years ago, when we were beginning to take a closer look at the vocalizations of frogs, from within the dark forested streams of the highest peaks of the Knuckles mountains, we came across a booming call that we had never hear before. We thought that it was a new species. One of my friends also brought this species to the notice soon afterwards. President of Niigata University, Japan Professor Sugata Takahashi and his delegation visited to UoP and met the Vice-Chancellor University of Peradeniya and Deans of faculties at the Vice Chancellor’s office on 31st August 2018. After welcoming the delegates Professor Upul B. Dissanayake Vice-Chancellor, University of Peradeniya conveyed his sentiments on the Niigata-Peradeniya Sister Link program. Emirates Professor Kamala Liyanage received the Japanese Foreign Minister’s commendation for Promoting Research on Japan in Sri Lanka. The award was presented by the Japanese Ambassador H.E. Mr. Kenichi Suganuma at the awarding ceremony held at Earl’s Regent Hotel on 31st August 2018. The Vice-Chancellor Prof. Upul B. Dissanayake, Deputy Vice-Chancellor Professor S.H.P.P Karunratne, Deans of faculties and Japanese delegates with academic staff of UoP were present at this occasion. Staff Development Centre of the University of Peradeniya commenced the 4th Induction Program for Stenographers, Clerks and the staff of Allied Grades of the University on 30th August, 2018. The inauguration ceremony was held at the auditorium of the Staff Development Centre. China - Sri Lanka construction project team and other delegates from University of Chinese Academy of Science of China (UCAS) visited University of Peradeniya on 29th August 2018. The group had a discussion on the commencement ceremony of the Advance Research Laboratory at the Faculty of Engineering, University of Peradeniya. Deputy Vice- Chancellor, UoP welcomed the delegation to the UoP and presented a general introduction on the University to the gathering. Staff Development Centre of the University of Peradeniya commenced the 3rd Induction Program for Technical officers and the staff of Allied Grades of the University on 15th August, 2018. The inauguration was held at the auditorium of the Staff Development Centre and the Deputy Vice-Chancellor Prof. Parakrama Karunaratne and Bursar Mr. E.A.R.M. Edirisinghe graced the occasion. Thirty-six staff members of the above categories who had not undergone a similar training were enrolled in this training program. The commemoration of the 20th anniversary of the establishment of the new Dental Hospital and building complex of the Faculty of Dental Sciences under the Japanese Grant Aid Programme was held on the 17th of July at the Faculty of Dental Sciences, University of Peadeniya. Prof. Upul Bandara Dissanayake has been appointed as the Vice-Chancellor of the University of Peradeniya for the second term by His Excellency the President of the Democratic Socialist Republic of Sri Lanka with effect from the 01st August, 2018 for period of three years. Staff Development Centre of the University of Peradeniya organized the 02nd Induction Program for Laboratory Attendants of the University. The inauguration was held in the auditorium of the Staff Development Centre on 26th June 2018. A delegation from China University of Geosciences, China visited University of Peradeniya on 21 June 2018. The Collaborative Research Laboratory QBITS is launched at University of Peradeniya. The Vice-Chancellor of the Bangabandhu Sheikh Mujibur Rahman Agricultural University of Bangladesh paid a courtesy visit to meet Professor Upul B. Dissanayake, Vice-Chancellor of the University of Peradeniya on 20th June 2018. High commission of Pakistan has been awarding Jinnah Scholarships to the Sri Lankan students since 2006. Over the years, more than 1700 students have benefited from the scholarships. A commemoration ceremony,followed by a pirith chanting was held on 11th of May 2018 atthe Department of Physics, Faculty of Science in remembrance of Dr. Ranjith L. Wijayawardana. The Museum of Human Anatomy was inaugural opened by the Prof. Upul B. Dissanayake, Vice-Chancellor, University of Peradeniya on 28.05.2018 in the Faculty of Medicine. The Department of Physiotherapy, Faculty of Allied Health Sciences, University of Peradeniya had organized the 03rd Peradeniya University Physiotherapy congress from 25th - 27th May 2018 at the Faculty of Allied Health Sciences, University of Peradeniya. The inaugural session of the certificate course in empowering women in Politics (Tamil medium) was conducted on the 19th May, 2018 at the Faculty Auditorium, Faculty of Agriculture, University of Peradeniya. Second study abroad training program on Applied International Development Practice and policy in Sri Lanka was ceremonially inaugurated on 16th May 2018 at 9.00 am at the board room of Faculty of Agriculture. The ceremonial opening of the Palm-leaf manuscript Preservation and Conservation Unit was held 15thMay 2018 under the patronage of Prof.Upul B. Dissanayake, theVice-Chancellor, University of Peradeniya. The officials of the World Bank-funded project on Accelerating Higher Education Expansion and Development (AHEAD) visited the University of Peradeniya on 25 April 2018 on an awareness building programme of the project. Simple ceremony was held at the senate room on 14.05.2018 to award letters of appointment to the newly appointed Security Guards to the University of Peradeniya. Nineteen security personnel were awarded letters of appointment by the Vice-Chancellor. Laying a foundation stone was done for the Veterinary Large Animal Hospital in the Department of Farm Animal Production and Health of the Faculty of Veterinary medicine and Animal Science. The inauguration of "Dream Venture- Startups for Women" organized by IEEE Women In Engineering Sri Lanka Section was held successfully at Information Technology Center of University of Peradeniya on 28th of April 2018. The meeting with the Chinese Academy of Sciences and the representatives of the UoP was held at the Office of the Vice- Chancellor, University of Peradeniya. Placing an apparent record in the history of Nursing Profession in Sri Lanka the “International Nursing Congress 2018” organized by the Department of Nursing, Faculty of Allied Health Sciences, University of Peradeniya was held on 6th and 7th, April 2018 at the Oak Ray Regency Hotel, Kandy. In fulfilling a long felt need the CDCE initiated the BBA online syllabus revision process with support from the Commonwealth Educational Media Centre for Asia (CEMCA) in New Delhi, India. The inaugural ceremony of the capacity building workshop was held on 23rd March 2018. The 3rd steering committee meeting of the project CApacity Building in Asia for Resilience EducaTion (CABRET) was held at the University of Peradeniya and Mahaweli Reach Hotel, Kandy Sri Lanka from 5th March to 10th March 2018. The Science Education Unit, Faculty of Science, University of Peradeniya organized the centennial School Science Practical Programme at the Science Education Resource Centre, Faculty of Science on 21st February 2018. The Sri Lanka Telecom PLC premier telecommunication service provider of Sri Lanka and the University of Peradeniya signed a historic MOU to further strengthen the collaboration between two institution. The launching of the “Vidusarani” Annual Classic Article collection was held on 08.02.2018 at the Arts Theatre. Prof. Upul B. Dissanayake, Vice-Chancellor of the University of Peradeniya was the Chief Guest. Staff Development Centre of the University of Peradeniya commenced the 01st Induction program conducted for probationary academic staff members in the year 2018 on 05th February, 2018. Staff Development Centre of the University of Peradeniya has organized the 2nd Induction Program for technical officers and the staff of allied grades of the University, and the program commenced on 10th Wednesday, January 2018. Five-day induction program for newly recruited clerks and the staff of allied grades of the university. Staff Development Centre of the University of Peradeniya commenced the 3rd Induction Program for newly recruited clerks and the staff of allied grades of the university. The Botanical Society of the University of Peradeniya (BOTSOC) joined hands with the Forest Department of Sri Lanka, Noritake Lanka Porcelain (Pvt) Ltd. and local community to restore degraded lands at Knuckles Forest Reserve on 10th of December 2017. The Staff Welfare Association of the Faculty of Allied Health Sciences, University of Peradeniya proudly conducted its annual outreach programme for the 3rd consecutive time at the Athadutuwewa Junior School, Handapanagala in Wellawaya area on 26th December 2017. Professor S.H.P. Parakrama Karunaratne of the Department of Zoology, Faculty of Science assumed duties as the Deputy Vice-Chancellor of the University of Peradeniya with effect from 01st January, 2018 for a period of three years. The University of Peradeniya (UOP) and Nanyang Technological University (NTU), Singapore jointly organised the UOP-NTU NEWRI Environment & Community Sustainability Symposium. The Sociology Department Organized a Familiarization Programme with Sociology Internship Programme 2017 and launching of Student Journal Samaja Nireeksha 2017. A ceremony to sign an agreement between the University of Peradeniya and the Brandix Lanka Limited took place on December 28, 2017 at the Office of the Vice-Chancellor, University of Peradeniya. The Project “Mitigation of Pollution at Kandy Lake and Mid Canal Sri Lanka” carried out under Lien Environmental annual fellowship won the Asian Outstanding Engineering achievement award conferred by the ASEAN Federation of Engineering Organization (AFEO) at its 35th annual conference held in Bangkok, Thailand on 18th November 2017. The launching ceremony of the Double Degree Program on Master’s in Wireless Communications between University of Peradeniya and University of Oulu, Finland was held on the 14 of the December, 2017 at OZO, Colombo. The unveiling of the statue of Sir Ivor Jennings the Founder Vice-Chancellor of the University of Peradeniya was held on 6th December, 2017. The Research Symposium of the Master of Education Programme 2016/17 (Research Symposium 2017) of the Department of Education, Faculty of Arts, University of Peradeniya was successfully held on 30th November, 2017 at the premises of Department of Education, University of Peradeniya. Peradeniya University International Research Sessions (iPURSE) 2017 is one of the most prestigious events of the university. Disseminating world-class research is of utmost importance and this is a major event which enables achievement of that goal. A Coffee Table Book titled Garden University of Peradeniya depicting all Halls of Residence, Faculties, places of worship and other scenic beauties of the University and writings of the all those who contributed to the creation of the university is available for sale. You will be able to buy this valuable book at a concession price of Rs. 2500 (though it is priced as Rs. 3000). This Concession price is valid only on the day of convocation. Those who are interested in purchasing this coffee table book please indicate the number of copies that you wish to buy and inform the“Public Relations Officer, Senate Building, University of Peradeniya”(email- pro.uop@gmail.comphone– 081-2392307) not later than 31stof May 2018. THOSE WHO WISH TO VERIFY RESULTS, PLEASE CONTACT THE RELEVANT DEAN’S OFFICE OF THE FACULTY FROM WHERE YOU HAVE OBTAINED THE DEGREE OR THE SENIOR ASSISTANT REGISTRAR AT STUDENT REGISTRATION BRANCH AT THE CENTRAL ADMINISTRATION, PLEASE.